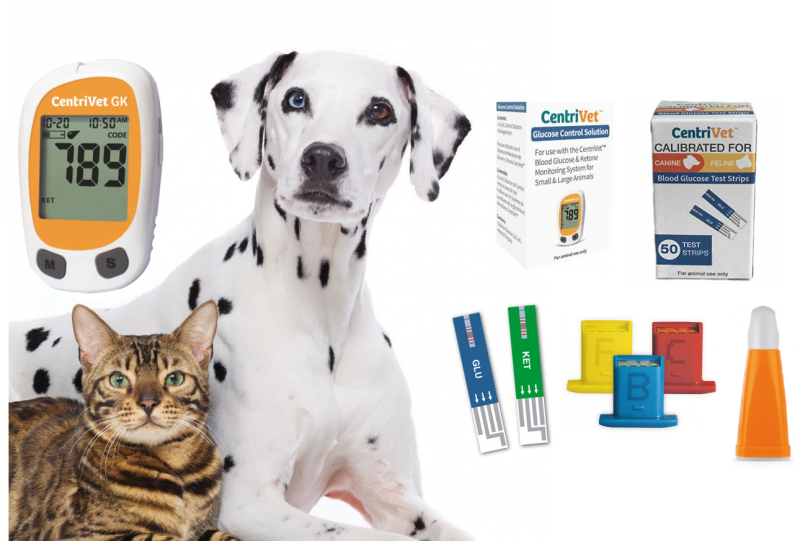 We’re delighted to offer our CentriVet starter kits (canine/feline glucose monitoring system and bovine ketone monitoring system) through our online shops, ebay and Amazon. 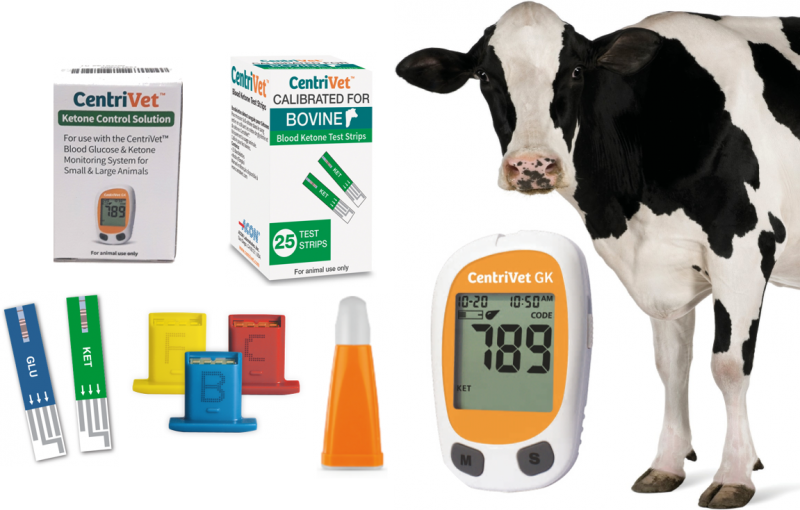 The complete CentriVet Starter Kits offers meter, tests, control solution and safety lancets for blood collection – plus free shipping. Suitable for diabetes management, the CentriVet meter and glucose test strips have been specifically calibrated on both cats and dogs, giving confidence in your readings. Quick and easy-to-use, the monitoring system enables testing from the comfort of your own home, meaning fewer scary visits to the vets! Buy now from our ebay shop or Amazon shop. Protect economic losses caused by ketosis by regularly monitoring blood BHBA levels – the gold standard for ketone measuring – with the CentriVet meter and ketone test strips. Specifically calibrated on bovine blood to ensure analytical confidence and help adjust nutrition plans for those at risk of developing ketosis. More information about the CentriVet product range can be found on our veterinary page. We also offer both test strips online ready for you re-order when you’ve used all of them in the starter pack. CentriVet products are distributed exclusively in the UK by Rapid Labs Ltd. If you would like further information about any of the CentriVet products, or are interested in ordering directly through us, please get in touch and we’ll be happy to help.